The Muslim Association of Canada (MAC), is proud to invite you to its first public event in Regina. 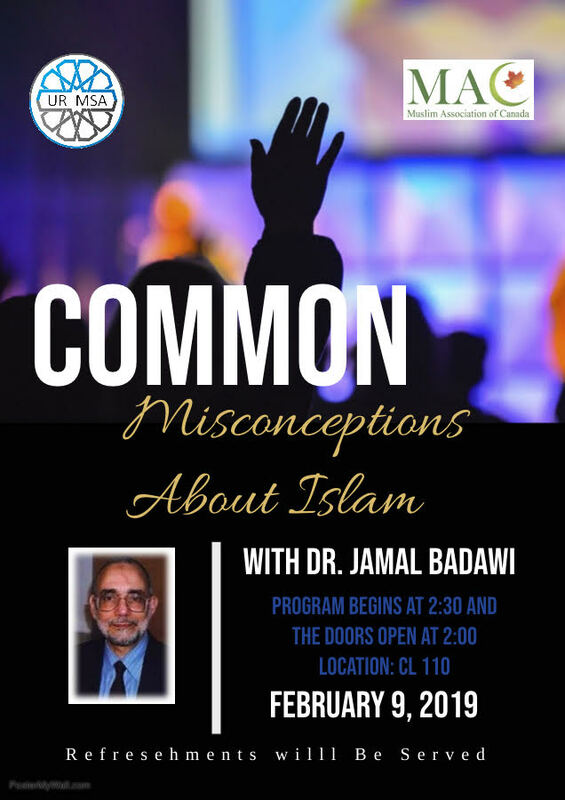 We are honoured to have Dr. Jamal Badawi to talk about “The Common Misconceptions about Islam”. It will be a great opportunity to find answers to any questions or misconceptions you have in mind about Islam. All communities in Regina are welcome to this event. Special thanks for our partner, MSA of U of R for there help and support. Dr. Jamal Badawi is “Professor Emeritus” at St. Mary’s University in Halifax, Nova Scotia, Canada, where he served as Professor of both Management and Religious Studies. During its May 2008 Convocation, Saint Mary’s University granted him an Honorary Doctorate of Civil law. The university’s citation made mention of his promotion of “a better understanding of Islam” and contribution to “civil society around the world”. 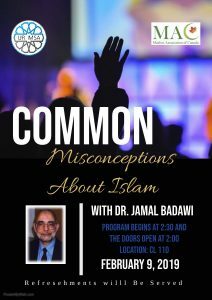 Dr. Badawi is the author of several works on Islam, including books, chapters in books and articles; some are available online, including Gender Equity in Islam available on google.com/ and a 352-segment television series on Islam, available [in audio format] in IslamiCity.com. Another material is available in onislam.net, Youtube.com, Fiqhcouncil.org, and Jamal Badawi.org. Among topics covered are “Apostasy: Is it a capital crime?”, “Muslim and Non-Muslim Relations” and Muslim Contribution to Civilization. In addition to participation in lectures, seminars and interfaith dialogues in North America, Dr. Badawi has been invited as guest speaker on Islam in 41 other countries. He is a member of the Islamic Juridical [Fiqh] Council of North America, The European Council for Ifta and Research and the International Union of Muslim Scholars. He has been serving as a volunteer Imam of the local Muslim community in the Halifax Regional Municipality since 1970. He served also as Vice Chairman of the Board of Directors of Islamic American University in Detroit and The consultative [Shura] council of the Islamic Society of North America.